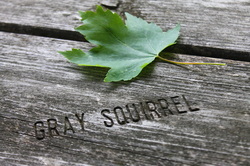 From two person tents to 45' luxury RVs, Gray Squirrel Campgrounds has room for just about everything. Choose from full or partial hook-ups, beautiful tenting areas, or spacious 1 bedroom cottages. 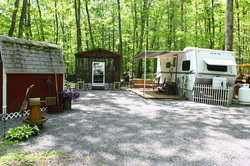 Whether you like old fashion "roughin' it" or the comfort of your own camper, we have just the site for you. If tenting isn't your thing, then our cottages are perfect for you. With basic amenities, these one bedroom cottages are perfect for weekend getaways!